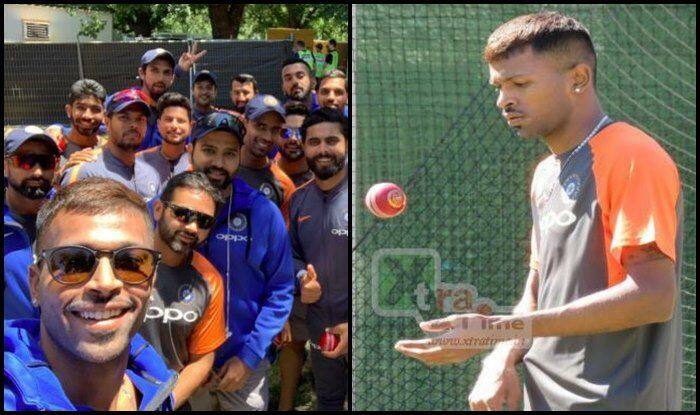 Australia vs India 3rd Test Melbourne: Hardik Pandya was seen bowling in the nets during the net session on Sunday ahead of the Boxing Day Test against Australia. He has also been seen bowling in the nets. Mayank Agarwal, the other cricketer who was picked after Prithvi Shaw was sent back to India could get a chance to open in the Boxing Day Test in place of out-of-form KL Rahul. Rohit Sharma is unlikely to play at Melbourne and that means Hanuma Vihari is retained. Meanwhile, India spinner Ravichandran Ashwin will undergo a fitness test to prove his fitness ahead of the crucial Boxing Day Test against Australia at Melbourne. Ashwin missed out on the Perth Test as he had picked up an abdominal strain, but it seems if he proves gets his fitness cleared he will stand a chance to make it to the squad which would be good news from an Indian point of view as he has shown that he can get wickets in seamer-friendly Australian conditions.